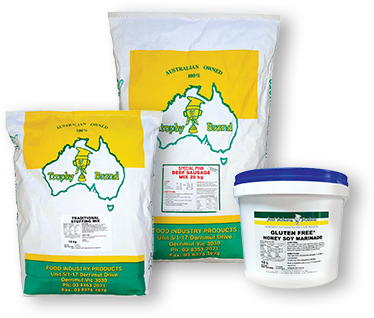 Food Industry Products - Ingredients for Butchers & Smallgoods Industries. Award-winning fresh and gourmet sausage pre-mixes, marinades, glazes, brine cures and custom blends. 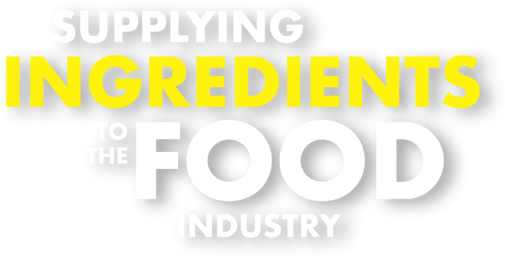 We’ve been serving the food industry for over 35 years now, providing quality and flavoursome ingredients to enable butchers and food service industries to make products that people love. Discover our renowned range of speciality butchers sausage meals. Exceptional burger mixes for butchers and food service professionals. A huge selection of dry flavours for butchers and food service professionals. Discover our renowned range of speciality butchers marinades. Expertly crafted cures for use by butchers and food service professionals. Smallgoods blends created for butchers and food service professionals. A selection of speciality coatings for butchers and food service professionals. Discover our comprehensive range of speciality stuffing mixes. Glazes that have been expertly crafted for butchers and food service. Value added, bulk quantity butchers ingredients for businesses that are looking to economise and bulk buy.